The Healthcare IT Master Plan takes into account the various concerns surrounding healthcare in Singapore. This includes the ageing population and elderly who are living alone. As part of the Master Plan, data analytics, tele-health and a national health record repository will be used to help patients self-manage certain conditions, said Health Minister Gan Kim Yong in a Channel NewsAsia report. He was giving a speech at the Healthcare Information Management Systems Society (HIMSS) AsiaPac14 – Digital Healthcare Week, which showcases the latest in healthcare technology. These IT efforts will make healthcare more affordable and accessible for Singaporeans, while providing more relevant and targeted healthcare. The first initiative, tele-health, caters to mainly the elderly who are living apart from their family. With tele-health, the patient’s vitals and health status can be monitored accordingly, and where necessary, prompt intervention can be made. Minister Gan Kim Yong gave the scenario of stroke patients as an example. As the first few months after a stroke are crucial to the patient’s recovery, “Tele-rehabilitation allows stroke patients to perform rehabilitative exercises or physiotherapy in the comfort of their own homes,” said the Minister. This is especially useful for patients who are unable to attend regular supervised rehabilitation due to various factors such as financial constraints as tele-health is a more affordable means of rehabilitation. There is a growing need to coordinate the technological services in the healthcare system. The National Electronic Health Record (NEHR) attempts to integrate medical records across hospitals so information can be shared among clinicians when necessary. 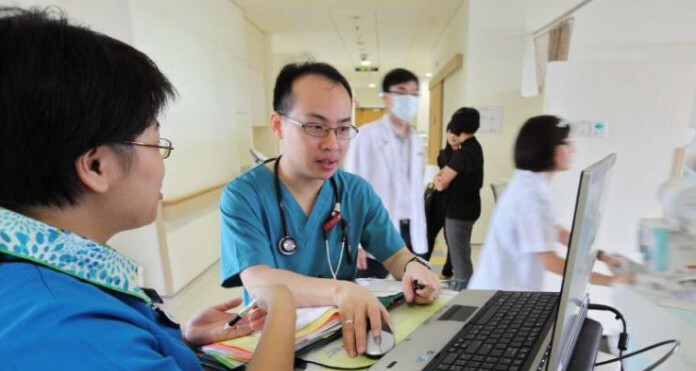 It has been implemented in 280 healthcare institutions, reaching out to approximately 14,000 clinicians.The Minister added that future capabilities could include image sharing, care and case management to help realise Singapore’s healthcare vision of ‘One Patient, One Health Record’. Also read: Book Your Medical Appointments Through A New App! Technology is intertwined with healthcare. 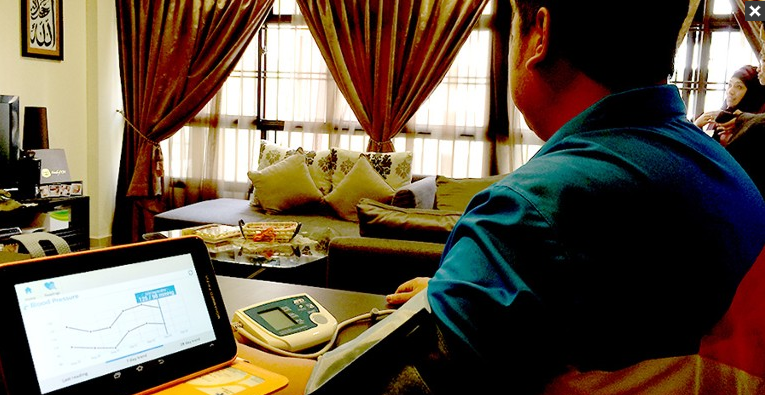 With the aid of technologies, healthcare would be able to reach greater heights and blaze new frontiers in Singapore. A recent example of another technology advancement within the healthcare system can be seen at Tan Tock Seng Hospital’s (TTSH) pharmacy. Before, pharmacy staff would manually prepare the medication to be dispensed. This conscientious effort takes time and could result in human error. However, with the Outpatient Pharmacy Automation System (OPAS) at the hospital’s outpatient pharmacy, this error is kept to a minimum. The system, according to Channel NewsAsia, reads e-prescriptions while simultaneously picking and packing the medication. 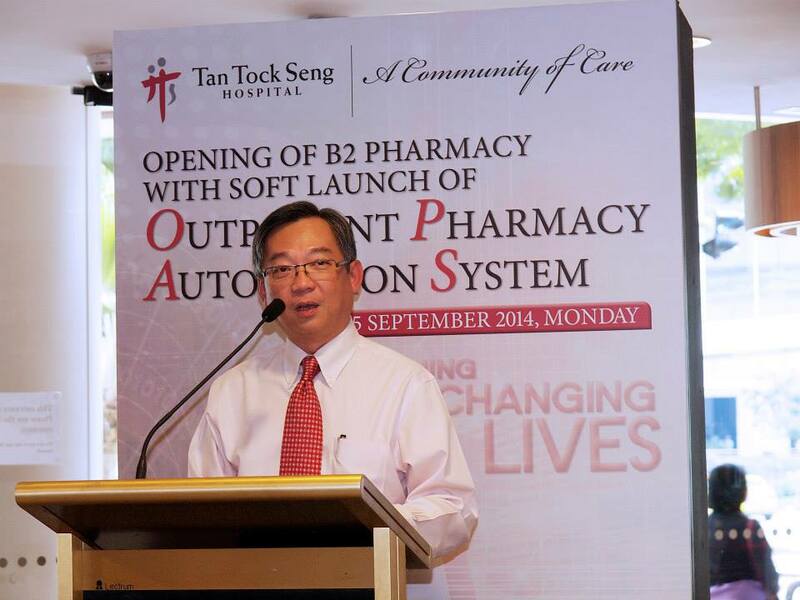 The S$5.4 million OPAS utilises robotic armatures to pack medication at a faster pace with added accuracy. These arms “pick and store medication” at an accuracy rate of 99.9%. This has significantly reduced the number of times medication has to be repacked, from 30% in 2011, to 5% at present. Minister Gan Kim Yong reinforced that technology has provided opportunities for “healthcare institutions to give better care and create a more personalised, accurate and efficient healthcare system”.